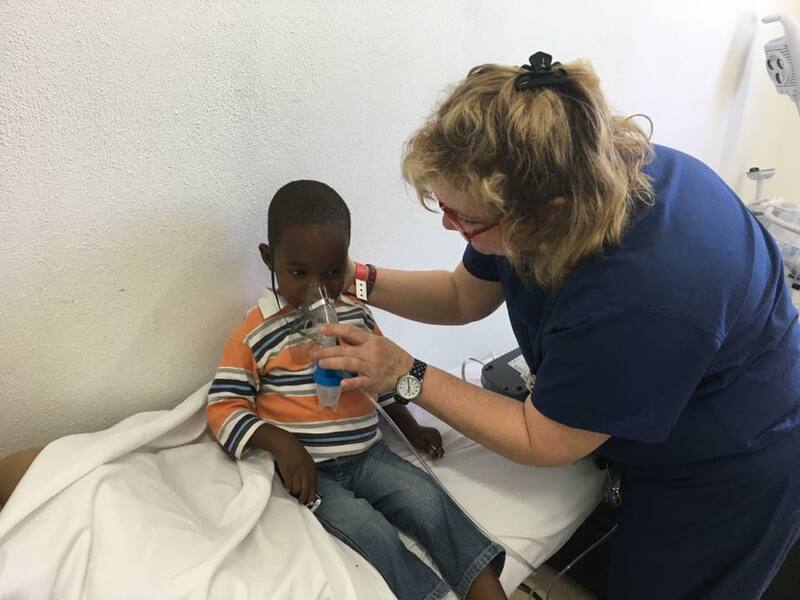 While our most recent medical mission trip to Cap Haitien departed on March 24th, it actually started the week before with a suitcase packing party. With each trip, we have to weigh the pros and cons of taking items versus buying in country. Can we get the medicines we need in country? Will the medicines have the same effectiveness if not regulated by the FDA? To alleviate these concerns, we’ve had medicines from Haiti (usually supplied by companies in India) laboratory tested and we’ve determined which ones should be bought in country and which must be hand-carried there. 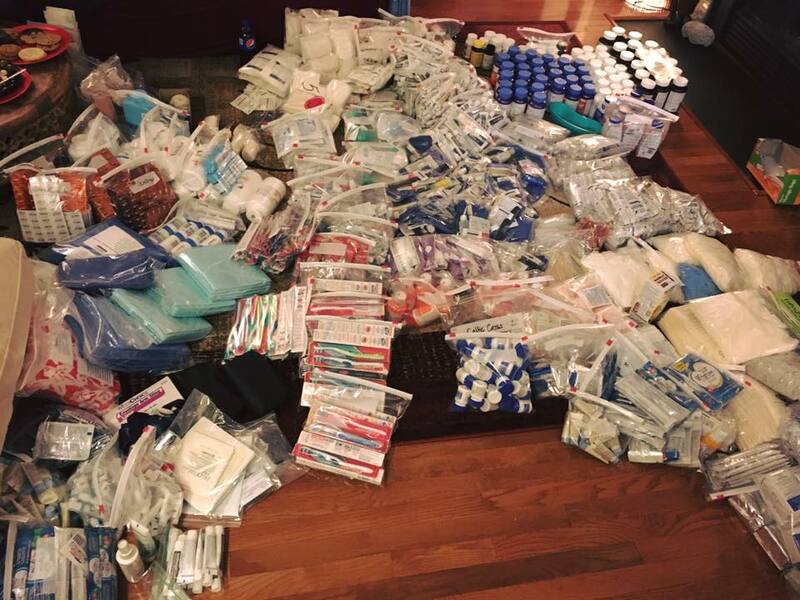 The packing party filled six suitcases of medical items. Some of you may have seen our fundraiser for baggage fees on these suitcases. American Airlines is the only international airline that flies into Cap Haitien, and unfortunately, will not offer us any type of discount or waiver of baggage fees. On the morning of March 24th, our team entered the airport fully intending to pay an exorbitant fee for all the medical supplies, but a kind-hearted check-in agent heard our story and waived our baggage fees completely! 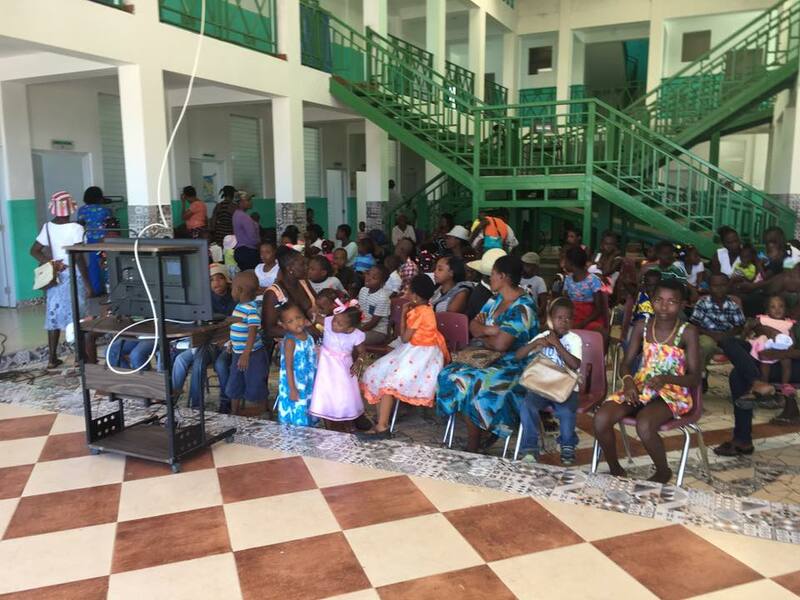 The money raised for baggage fees could then be spent where it is needed much, much more – for medications purchased in Haiti. What an amazing start to the trip! 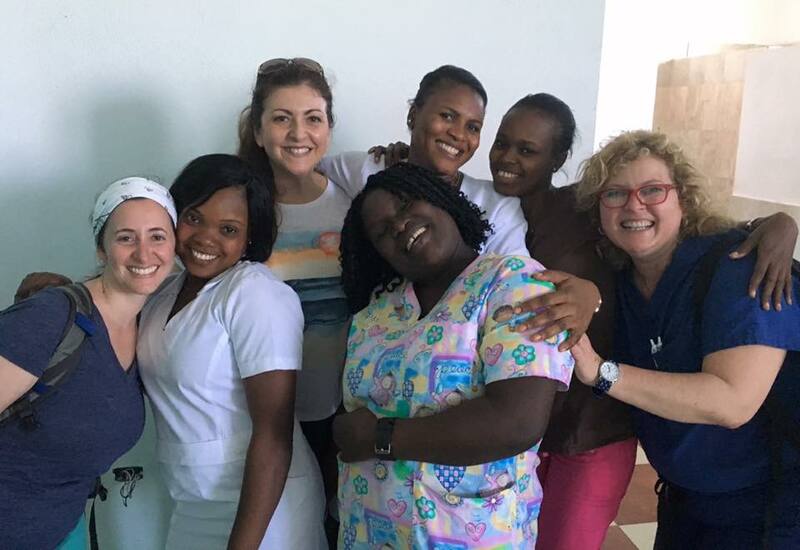 On Saturday and Sunday, the team of American and Haitian providers and nurses, along with translators, worked at New Hope Hospital. 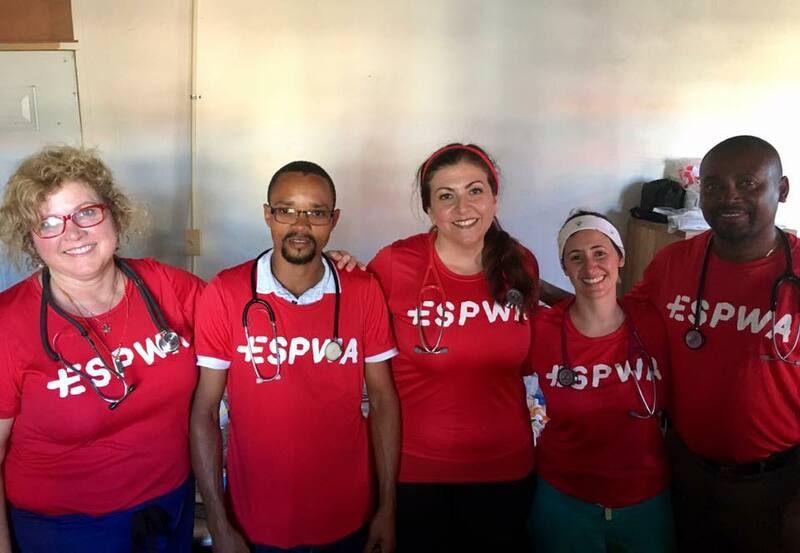 This was the first Espwa medical team in Haiti since the grand opening of the hospital, so this opened up a whole new way to serve more patients. 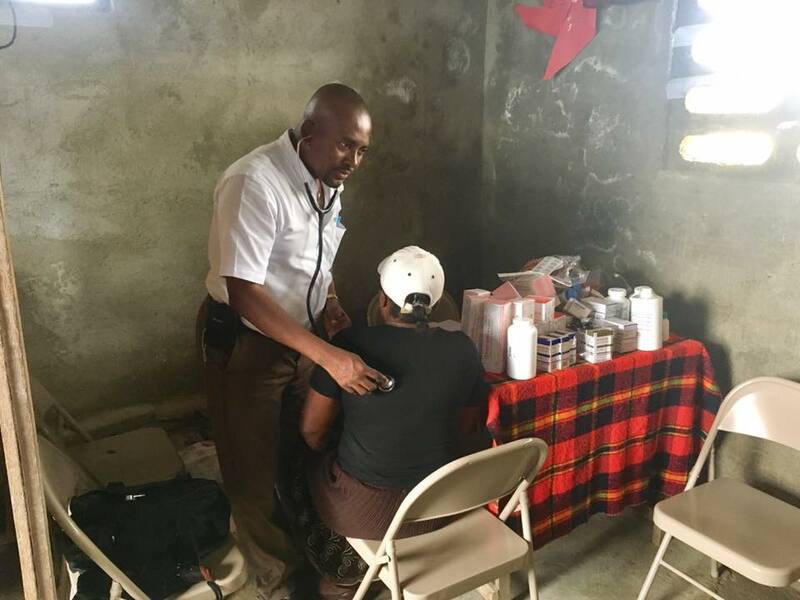 Our Espwa Medical Director, Jen Schmidt, relayed a story about a patient who evidenced signs of cholera, a terrible water-borne disease that ravages the digestive system and can lead to severe dehydration and death. 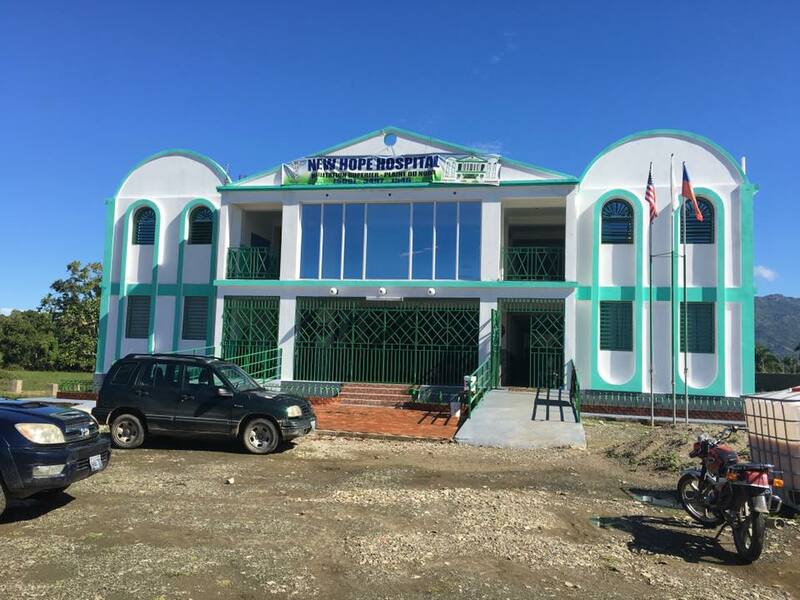 The patient had traveled very far just to get to New Hope Hospital, where the team was able to pump him with fluids and antibiotics, before being transferred to the nearest cholera treatment center. Schmidt said, “New Hope Hospital saved that man’s life.” In an area that has never had hospital coverage, the aptly named New Hope Hospital is like a beacon of hope. Over the two day period, the team saw more than 200 patients. A newborn in for her first checkup! 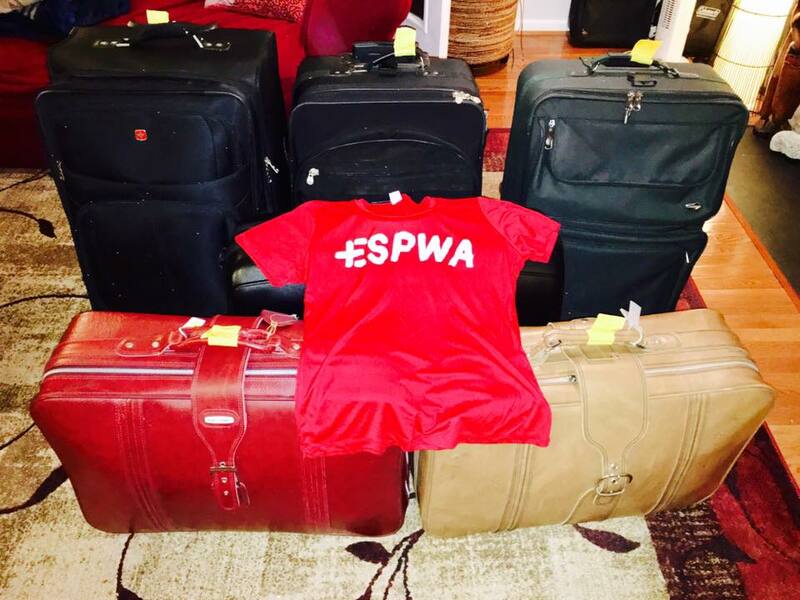 Starting on Monday, the team returned to the site of one of Espwa’s first projects, St. Anthony’s Clinic. 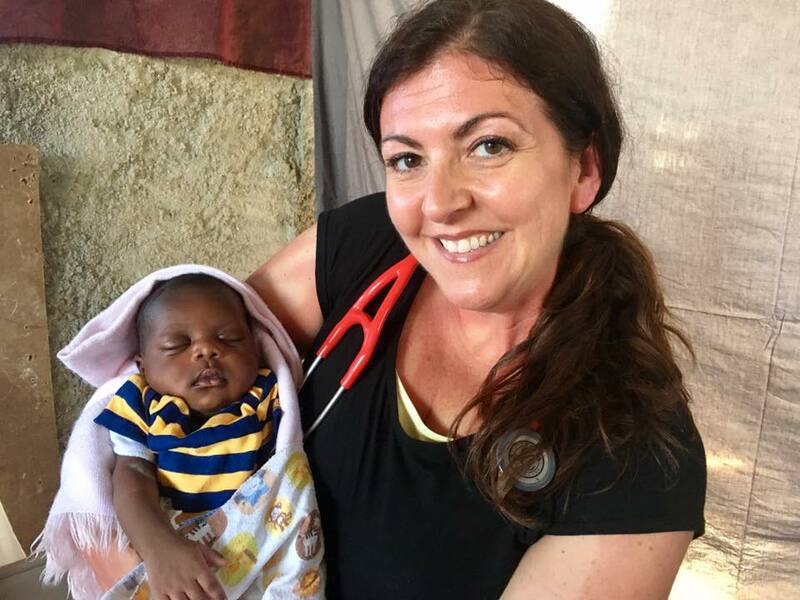 Although separated by only around 20 miles, the clinic was a night-and-day change from New Hope. 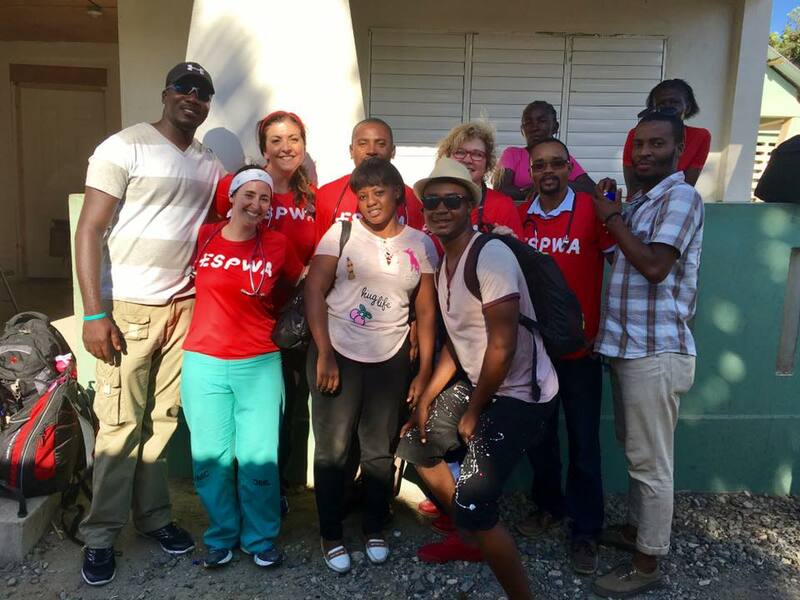 Without labs and testing or an extensive pharmacy, the team had to rely on their experience in the field – all members of the team have been on medical trips with Espwa in the past – coupled with Dr. Maklin’s intimate knowledge of common Haitian illnesses. St. Anthony’s is always one of our stops, so many familiar faces greeted the team members. All told, another 200 patients were seen on Monday and Tuesday at St. Anthony’s. 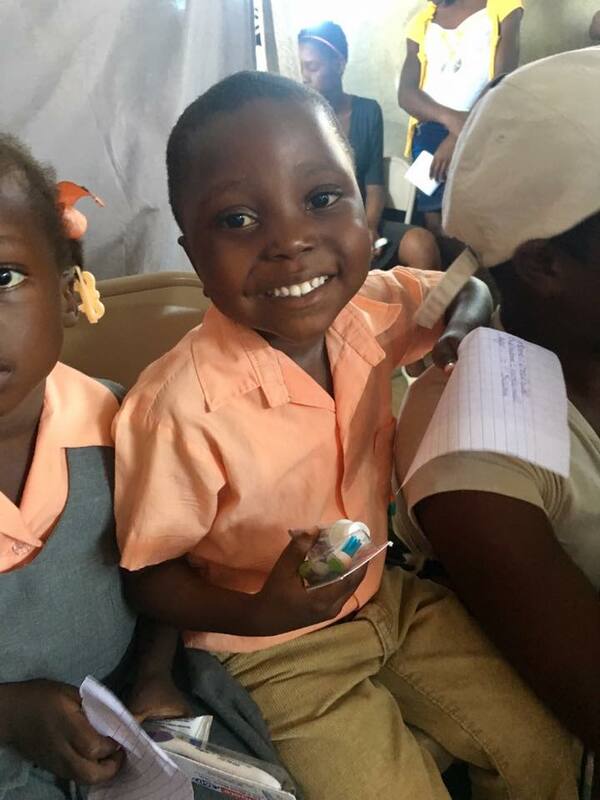 Each child received a bag of multivitamins – thanks to all who donated them! After a down day on Wednesday, the team served its final day in the Blue Hills community on Thursday. The team set up a makeshift clinic at the local school building, similar to that of past trips. 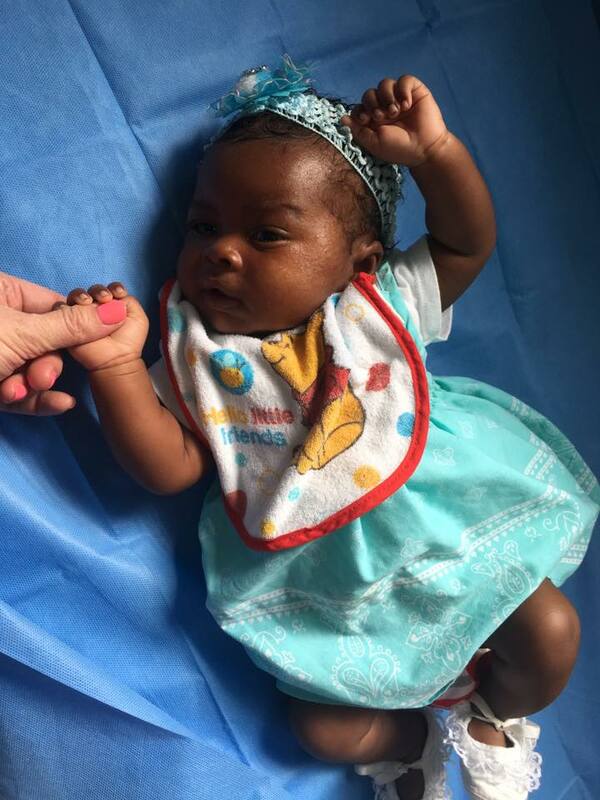 The school’s proprietor, Thomas Dieuseul, had a new baby of his own this time around and the team was happy to see her thriving. The team had a very full day and was able to see over 200 patients at Blue Hills, while furthering our relationship with the community. 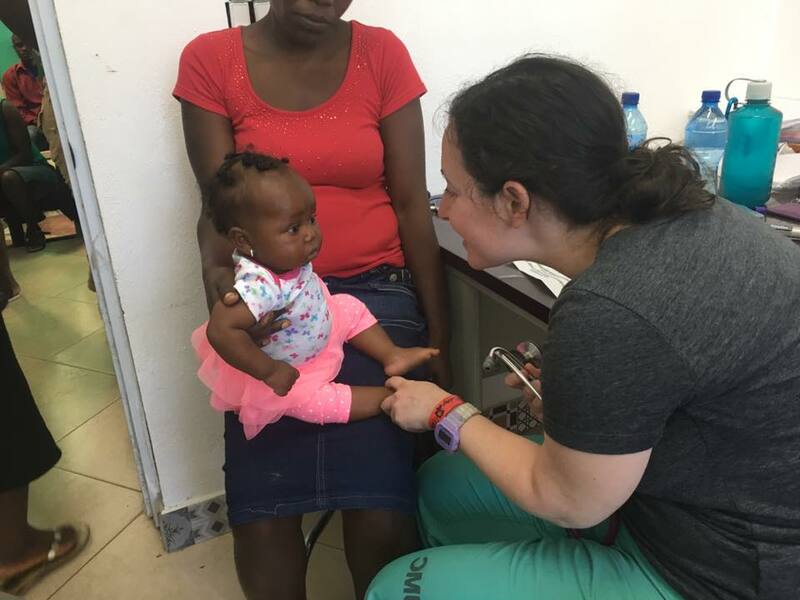 The team safely arrived back home on Friday, March 31st after a week of serving at three locations, seeing over 600 patients, and deepening relationships with both our Haitian medical counterparts and the communities we serve. We keep coming back, because we’re in it for the long-term. 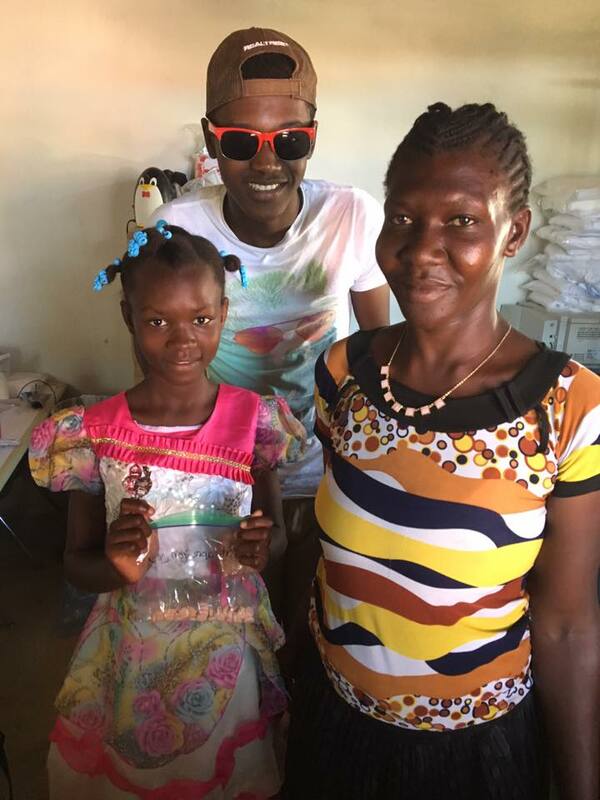 Special thanks to Dr. Eugene Maklin who fights the battle for positive change in the Cap Haitien medical community each and every day. Until next time!